I'll be having a birthday in a few days. 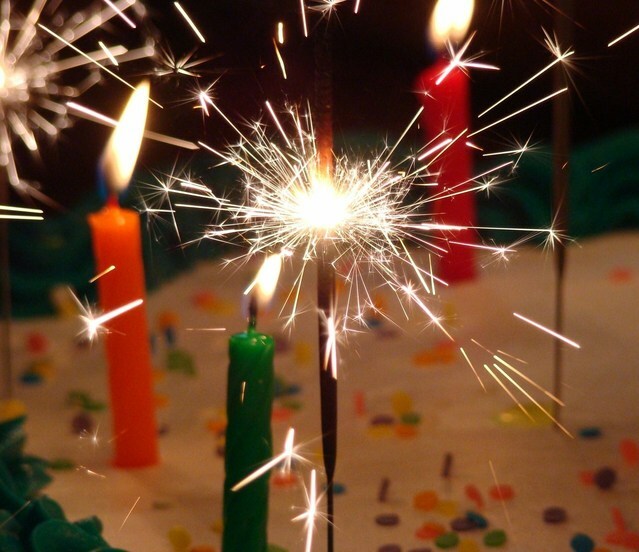 Is it the best or worst of times to have a birthday? Kids whose birthdays fall in the summer vacation, like my sister, kind of know what that's like. No school birthday parties, and although you might get a party, half your friends are away on vacation. But believe me, it just doesn't compare. There's no way anyone's going to come to your birthday party on Christmas Day! People usually assume I must have hated this when I was a kid. I can see how some people could, but funnily enough, I didn't really mind. I'm kind of private and shy by nature anyway. Even as a kid, my ideal birthday party would have been having a nice birthday lunch or dinner with my family and my cousins, with maybe a few presents – and wasn't that exactly what we were doing? Only everyone was getting presents, so it was even more fun and made the party last longer. Then we'd all go to midnight mass together, which I always loved. And I was lucky, because two days later, once the excitement of everyone's new toys had worn off, my parents would do it all over again just for me, and I would get an extra gift from everyone. And I guess I've got pretty thoughtful relatives – none of them ever gave me one gift expecting it to count for both occasions. Not once. The only celebrities my sister has to compete with for birthday attention are Nelson Mandela, John Glenn and Ricky Skaggs. (Sorry, Sis – impressive as they are, I still win in that department!) But since it's in the middle of the summer, she too missed out on school parties. To make sure we still got to celebrate with all our friends, when we were young our parents would throw one big bash a year that was a joint party for all our neighborhood friends and classmates. We got to choose when. One year, it was an end-of-the-school year blast. Once, we had the greatest Halloween Party ever, for which Mom and Dad turned our house into the most amazing haunted house ever. I still have no idea how they did it! 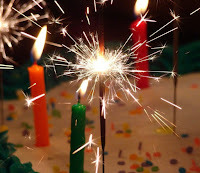 This year, I'm hoping for a very quiet, reflective, prayerful birthday with my family, out of the limelight. But no one is willing to let me get away with no birthday celebration at all. So there will be one a few days after the fact. Only this time, it will be at my newlywed daughter's home. She and her husband are throwing their first dinner party in their postage-stamp-sized apartment. (It's BYOC: Food provided, but bring your own chair!) We'll all be shoulder-to-shoulder, but all together – which is the best present I could possibly want, for any occasion. Happy Holidays - and every day! Sweet Blizzard: Trey Bennett's an ex-con. Loren Williams is an East Coast socialite. 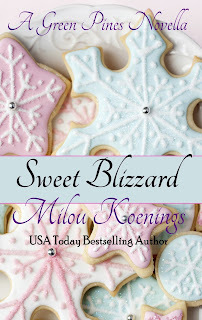 He saves her life when they're stranded in a blizzard, but she could make or break his. Will love make it all right in time for Christmas? A sweet romance about the healing power of love, this wholesome, clean-read novella is part of the Green Pines Romance series. Available at Amazon. My mother-in-law's birthday was on Christmas. She always got extra-special attention. Happy birthday and Merry Christmas. My dad's bday was Christmas. My sil's Christmas Eve and I'm on the 27th. It's nice to have a separate gift (no combined Christmas/bday gifts allowed in our household), but then there are 11 long months of no gifts - lol!